Mario Salomone, the Secretary-General of the most important worldwide network of environmental education organizing the WEECs, World environmental education congresses, is an environmental sociologist at University of Bergamo (Italy). Its research interests include local development, sustainability, green economy, education, food, patterns of sustainable consumption and production, social and cooperative economy, social networks, according to the point of view of sustainability. •2003: Ph .D .of public health, environmental sciences, Ain Sharns University. •1991: Diploma of environmental sciences, Ain shams university. •2002: Training course for Strategic impact assessment (S.I.A),Alborg - Denmark. •2004: training course for organizal structure and management cabinet of ministers - ministry of state of administrative development. • Supervisor of sanitary water conservation program for education of the 9th main target groups in community of Cairo, Suez, Ismailia, including Concepts of rational use of resources and maintenance concepts for: women, youth, children, workers, N.G.0s, government, research, trade. It is in mining and petroleum sector that Mrs Amina Benkhadra proven. This graduate civil engineer of mines of Ecole Nationale Superieure des Mines de Nancy in 1978 also has a doctorate in engineering science and technology of mining from ENSM Paris. Its training curriculum is as rich as professional experience. 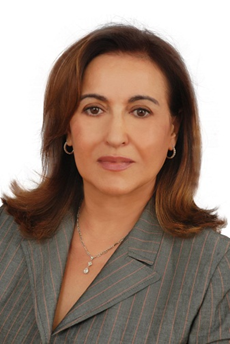 Amina Benkhadra made management training to from Columbia University in 1990. After a short stint at Board of Trade in Paris, where she studied prospectively on commodity markets. 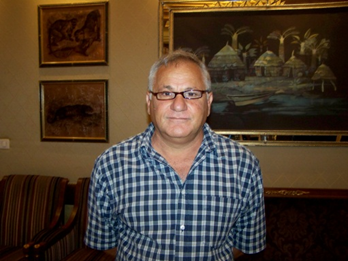 His professional life in Morocco began in 1982, during which period she joined the BRPM as department head of mining research and development Studies Division of the Office of Research and Mining (BRPM). She is soon, the Chief of Research Department for mining then become head of the division of interests. In 1994, she was appointed Director of Mines at the Ministry of Energy and Mines and Secretary of State to the same department. It is at the same time, a director on the boards of directors of several companies mining subsidiaries of the ONYHM. Since August 2000, Amina Benkhadra is executive director of the National Research Agency and oil operations (ONAREP). She is also the president of the Federation of the mineral industry (FDIM). In 2003, she was awarded the Legion of Honor by the Embassy of France in Rabat. 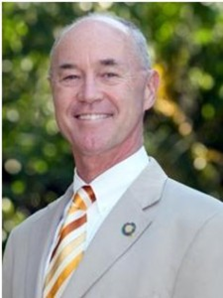 Peter Blaze Corcoran, Director of the Center for Environmental and Sustainability Education, is Professor of Environmental Studies and Environmental Education at Florida Gulf Coast University. 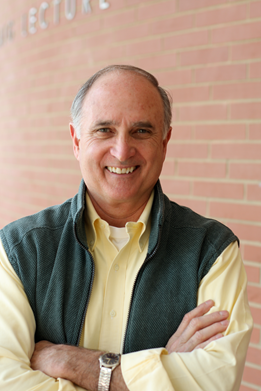 Dr. Corcoran serves as a Senior Fellow in Education for Sustainability University Leaders for a Sustainable Future. He is a Senior Advisor the Earth Charter Initiative in San Jose, Costa Rica. He is a member of the President Council of the National Wildlife Federation. His book, Higher Education and the Challenge of Sustainability Problematics, Promise, and Practice, was published in The Netherlands Kluwer Academic Press (2004). Dr. Corcoran is past President of the North American Association for Environmental Education and a past board member of the Sanibel-Captiva Conservation Foundation. 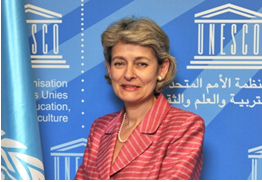 Graduated from Institute of International Relations in Moscow, Irina Bokova also attended courses at the University Irina Bokova, born on 12 July 1952 in Sofia (Bulgaria) has been the Director-General of UNESCO since 15 November 2009. She is the first woman to have been elected head of the Organization. Having graduated from Moscow State Institute of International Relations, and studied at the University of Maryland (Washington) and the John F. Kennedy School of Government (Harvard University), Irina Bokova joined the Ministry of Foreign Affairs of Bulgaria in 1977, where she was responsible for human rights issues. Appointed in charge of political and legal affairs at the Permanent Mission of Bulgaria to the United Nations in New York, she was also a member of the Bulgarian Delegation at the United Nations conferences on the equality of women in Copenhagen (1980), Nairobi (1985) and Beijing (1995). 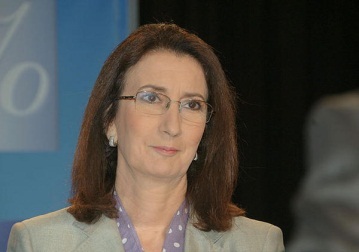 As Member of Parliament (1990-1991 and 2001-2005), she participated in the drafting of Bulgaria’s new Constitution, which contributed significantly to the country’s accession to the European Union. She launched the first seminar of the Parliamentary Assembly of the Council of Europe on the European Convention on Human Rights. Irina Bokova was Minister for Foreign Affairs and Coordinator of Bulgaria-European Union relations (1995-1997) and subsequently Ambassador of Bulgaria (2005-2009) to France, Monaco and UNESCO and Personal Representative of the President of the Republic of Bulgaria to the "Organisation Internationale de la Francophonie" (OIF). While serving as State Secretary on European Integration and Minister for Foreign Affairs, Ms Bokova always promoted European integration. As an active member of many international expert networks and of civil society and, in particular, as Chairperson and founding member of the European Policy Forum, she has worked to overcome European divisions and to foster the values of dialogue, diversity, human dignity and human rights. Irina Bokova has received doctor honoris causa from many prestigious universities across the world. In addition to her mother tongue, Irina Bokova speaks English, French, Spanish and Russian. Senegalese ecologist, he is "one of the hundred most influential environmentalists of the world”. His fight for the environment is accompanied by a political commitment. On 3 April 2012, he was appointed Minister of Ecology and Nature Protection in the Government of Abdoul Mbaye. Originally diving instructor, he is the Director of Oceanium Dakar and president of the Federation of Green Parties and Green of West Africa. In 2002, during the sinking of the Joola who made nearly 2000 victims, it is one of the first on the scene of the disaster. He dives, film and book his observations with bitterness. He was elected "Man of the Year" by Radio Television Senegal. Highly active against overfishing, Haidar El Ali also gave to his diving group a goal of the depollution: retrieve some 3,000 abandoned fishing nets continue to imprison fish. The team has already removed 1000. Convinced ecologist, he raises awareness all segments of the population to the need to live in harmony with nature. Thus, people increasingly understand the importance of respecting the environment and fight against imbalances caused by man, especially in the mangrove. In 2009, Haidar El Ali has instilled a dynamic helped replant 30 million mangroves in Casamance. One of his many goals for 2010 is to replant 100 million trees. Jan Eriksen’s Presidency of FEE has led to a great deal of travelling around the world convincing international NGO’s and Governments to support and run FEE’s sustainable and environmental programmes, and with great success – today FEE has 64 member countries. Since childhood Jan Eriksen has nurtured a deep awareness of nature and the outdoor life. His interest has led to participation in TV programmes and he is a published author. Last year Jan Eriksen celebrated his 25th anniversary at the Danish Outdoor Council where he has been Director since 1990. During that time the Danish Outdoor Council has evolved from having 14 employees to almost 40, and the range of outdoor recreational and life-enhancing projects has increased significantly and been of great benefit to the Danish population. Even though Jan Eriksen is frequently seen in the Danish countryside and has a huge interest in creating great outdoor experiences and conveying the joy of nature to others, his passion has always been to reach beyond Danish borders. His work as President of FEE is characterized by great commitment and a burning desire to teach schoolchildren around the world about sustainability, nature and the environment. He has launched several international projects for sustainable education, including Eco-Schools, Green Key and Blue Flag. On the home front Jan Eriksen is married to head teacher Annette Carlsson. He has four daughters and eight grandchildren. He is a passionate bird watcher, a golfer and a cyclist riding his bike from his home in Roskilde to the Danish Outdoor Council in Copenhagen every day. 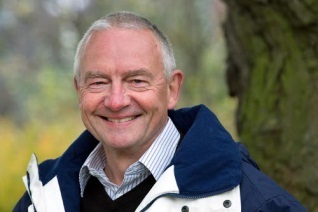 Jan Eriksen has been nominated as Denmark's candidate for the World Heritage Committee; he is chairman of the Danish National Committee for Nature Conservation (IUCN), Vice President of Keep Denmark Tidy and a Board Member of Forest & Landscape at Copenhagen University. Previously, Jan Eriksen was a board member of the Danish Ornithological Society and president of Nature & Youth. Chemical Engineering, Bachelor of Education and a Masters in Education at the National Autonomous University of Mexico (UNAM), he also has a PhD in Philosophy and Educational Sciences at the National University of Distance Education in Madrid Spain. He is currently a senior researcher at the Institute for Social Research at the University of Nuevo Leon. He was advisor to the Secretary of Education, in charge of issues of environmental education and sustainable development (2000-2006). He was also Managing Director of the Centre for Education and Training for Sustainable Development of the Secretariat of Environment, Natural Resources and Fisheries (SEMARNAP) (1995-2000). He was academic coordinator of the Ibero-American Congress on Environmental Education, held in Guadalajara, Jalisco, Mexico in 1992 and 1997 and general coordinator of the National Forum for Environmental Education, held in Aguascalientes in 1999. He has been a lecturer since 1972 in various institutions of higher education in Mexico and educational consultant in eight colleges and five national institutions and international organizations, highlighting the work of UNESCO and WWF develop the strategy Mexican environmental education and support to the National Environment Commission of the governments of Chile and Guatemala, the Ministries of Education of Brazil, Colombia and the Dominican Republic and the Ministries of Environment Cuba and Argentina. This work ranks as an important part of a Latin American environment education. He is part of the Commission on Education and Communication (CEC) of the World Conservation Union (IUCN), where he served from 2001 to 2006 as Regional Chair for Mesoamerica. He was president of the National Academy of Environmental Education (2003-2004). 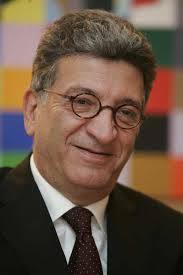 Alexander Leicht is Chief of the Section of Education for Sustainable Development, UNESCO, Paris. Before joining UNESCO, he was Head of the German Secretariat for the UN Decade of Education for Sustainable Development at the German Commission for UNESCO in Bonn for almost seven years, where he also led the organizing team for the preparations of the UNESCO World Conference on Education for Sustainable Development in 2009. He also worked three years as a university teacher in Hungary and the United Kingdom and was trained as a teacher, with a graduate diploma in literature, at the University of Marburg, Germany. He holds a PhD in North-American Studies from the University of Nottingham, United Kingdom. Wanjira Maathai is the Project leader for the Wangari Maathai Institute for Peace & Environmental Studies (WMI). She is the outgoing Director of International Affairs at the Green Belt Movement (GBM), where she managed outreach and resource mobilization. For 6 years prior to joining GBM, Ms. Mathai worked as a Sr. Program Officer at the Carter Presidential Center in Atlanta, Georgia (USA), monitoring and evaluating disease eradication programs. Since 2002, Ms. Mathai has been directing International Affairs at GBM, which was founded by her mother, the late Nobel Peace Laureate Wangari Maathai. She currently serves on the Board of Directors of both the Green Belt Movement and WMI. Wanjira Mathai grew up in Kenya, traveling to the United States to attend college. She is a graduate of Hobart & William Smith Colleges and earned graduate degrees from Emory University’s Rollins School of Public Health and Goizueta School of Business. Graduate of the Medicine School in the University of Madrid, Doctor Leïla Mezian Benjelloun has pursued her studies at the Medicine School in Barcelona to complete her specialty in Ophthalmology. After a position as Assistant to Professor Joaquim Barraquer in Barcelona, she worked in the Manhattan Eye and Ear Hospital in New York under the supervision of renowned Ophthalmological surgeons, Dr Castro Viejo and Dr Byron Smith. Dr Leïla Mezian Benjelloun has practiced Medicine during more than 25 years in Moroccan public hospitals as well as in her own private surgical clinic. She participated to numerous international conferences and symposia. President of the Alaouite Organization for the Protection of the Blind (OAPAM) in Casablanca and the Moroccan Red Cross, she was also Vice President of the Association of Medical Doctors in Morocco and President of the Benjelloun-Mezian Foundation whose vocations are restoring National Monuments and granting scholarships to young Moroccan students all over the world. Since 1992, she assigns all her efforts to her new passion: Education. She is President of the BMCE Bank Foundation, whose principal missions are the promotion of education integrated into sustainable development and the contribution to the preservation of the environment. She manages a team dedicated to the Medersat.com program, which allowed the creation of more than a hundred of rural community schools -including preschool- throughout Morocco, totally financed by the Foundation. Beyond Morocco, BMCE Bank Foundation is present in Senegal, Congo Brazzaville and Mali. 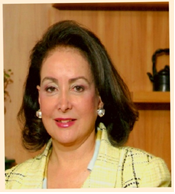 Dr Leïla Mezian Benjelloun is married to Mr. Othman Benjelloun since 1960. They have two children: Dounia, film producer and Kamal, anthropologist and environmentalist. PhD in Engineering from the University of Franche-Comté in France (1992), Mr. Miraoui graduated from Accreditation to supervise research (HDR) in 1999. 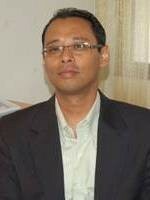 He is Professor of universities at UTBM since September 2000 and was promoted to 1st Class Teachers in 2005. He was Senior Lecturer at the University of Dijon from 1993 to 1995, the University Institute of Teacher Training (IUFM) and the University of Franche-Comté from 1995 to 1999. He worked as an engineer in the company Alsthom (1986) and Consultant Engineer to the business Paduch in Colmar - France (1988). 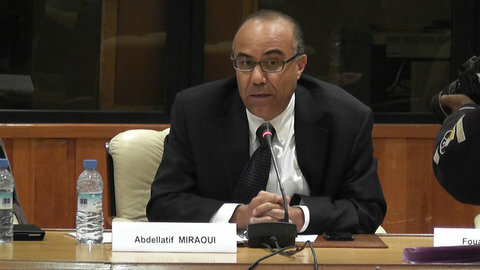 Abdellatif Miraoui is Doctor Honoris Causa of the Technical University of Cluj-Napoca in Romania, distinction received in 2005. In July 2007, he was named "Knight in the Order of Academic Palms" by the Minister of Education and Higher National Education in France. In 2004, he was also honored as Honorary Professor at the Transilvania University of Brasov (Romania). Edgar Nahoum, says Edgar Morin is a French philosopher and sociologist. He defines his way of thinking as "co-constructivist" by specifying: "This is to say that I'm talking about the collaboration of the outside world and our mind to build reality." 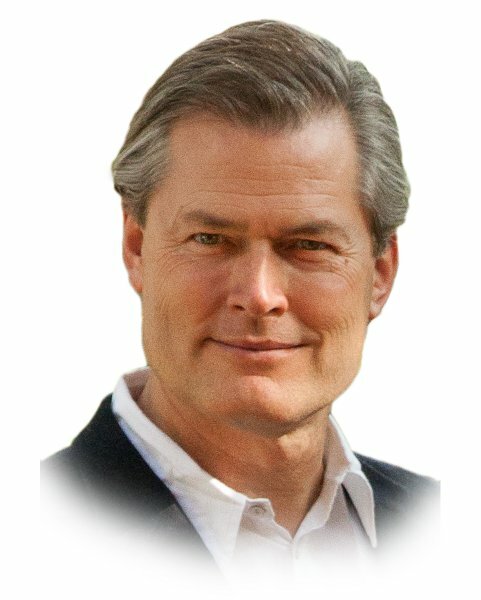 He has written books about complex thinking about the future of humanity and the famous Seven complex lessons to education of the future in which the author discussesat the invitation of UNESCO, changes that it deems necessary teaching order to be better suited to the complexity of the modern world. He participated in the creation in March 2012 Collective Roosevelt in 2012 with the assistance of Stéphane Hessel, Michel Rocard and many intellectuals and public figures of the civil and political society. This collective presents 15 proposals to avoid economic collapse, developing a new company and fight against endemic unemployment and create a democratic Europe. In 2012, he publicly supports the Chief Raoni in his fight against the Belo Monte dam. Is the Paul Sears Distinguished Professor of Environmental Studies and Politics and Senior Adviser to the President, Oberlin College. He is the author of seven books, including Down to the Wire: Confronting Climate Collapse (Oxford, 2009) and co-editor of three others. He has authored nearly 200 articles, reviews, book chapters, and professional publications. In the past twenty-five years he has served as a board member or adviser to eight foundations and on the Boards of many organizations including the Rocky Mountain Institute and the Aldo Leopold Foundation. Currently he is a Trustee of the Bioneers, Alliance for Sustainable Colorado, and the Worldwatch Institute. He has been awarded seven honorary degrees and a dozen other awards including a Lyndhurst Prize, a National Achievement Award from the National Wildlife Federation, and recently a “Visionary Leadership Award” from Second Nature. He has lectured at hundreds of colleges and universities throughout the U.S., Europe, and Asia. He headed the effort to design, fund, and build the Adam Joseph Lewis Center, which was named by an AIA panel in 2010 as “the most important green building of the past thirty years,” and as “one of thirty milestone buildings of the twentieth century” by the U.S. Department of Energy. He is the executive director of the Oberlin project and a founding editor of the journal Solutions. Dr. Abdulaziz Othman Altwaijri is a Saudi Arabian author and lecturer who has served at various posts including Executive Director of " Islam Today ", an Islamic academic journal published in Arabic, English and French ; and " AL JAMIA " Journal published by the Federation of the Universities of the Islamic World. Abdulaziz was director general of the Islamic Educational, Scientific and Cultural Organization –ISESCO, served as secretary general of the Federation of the Universities of the Islamic World, was a member of the Royal Al-Albayt Institute for Islamic Thought, Jordan, of the advisory dommittee of the Arab-Islamic Civilization Encyclopedia, of the World Islamic Forum for Dialogue, of the board of trustees of the Arab-European Centre for Studies in Paris, of the Arab Thought Forum in Amman, of the scientific committee of Prince Abdulmuhsin Bin Jallawi Center for Research & Islamic Studies Sharjah, of the Council of the 100 Leaders (affiliated to the World Economic Forum), and of the general assembly of the World Academy for Bringing Muslim Madhahib Closer Together, Tehran. 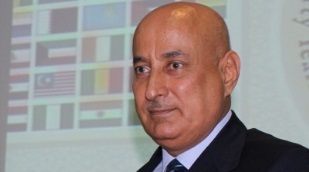 He has served as a trustee of the Islamic University in Niger, the Islamic University in Uganda, the Islamic University in Pakistan, the Islamic University in Bangladesh, the Islamic Conference Youth Forum for Dialogue and Cooperation, the Open University of Islamic Civilization in Beirut, and the Center for Muslim Contribution to Civilization in Doha. Gunter Pauli started writing fables for children in 1994. Today, and one 100 million copies later, he has embarked on one of the most ambitious environmental education programs: publish and animate 365 fables bringing science, emotions, art, sustainability and the confidence to implement to children worldwide. The program initiated in the year 2000 in Curitiba, Brazil and has extended to all four corners of the world. All fables are based on creative insights into science, and at least one third of these breakthroughs have been implemented somewhere in the world. Gunter wishes to inspire children to become entrepreneurs, responding to the basic needs of all with what is locally available. As an entrepreneur he created 12 companies (2 failed) and his latest book THE BLUE ECONOMY describes the businesses of the future. Gunter has an MBA, is professor at several universities, and is father of 5 children. Chief of the Environmental Education and Training Unit (EETU) of the United Nations Environment Programme (UNEP), within the Division of Environmental Policy Implementation (DEPI). He is currently based at UNEP’s Headquarters in Nairobi, Kenya. EETU assists with implementation of UNEP's mission: To provide leadership and encourage partnership in caring for the environment by inspiring, informing, and enabling nations and peoples to improve their quality of life without compromising that of future generations. More specifically, EETU supports the delivery of UNEP's Medium Term Strategy 2010-13: "Generation of environmental education resources, networks and partnerships to support the implementation of six cross-cutting thematic priorities (namely Climate Change, Ecosystems Management, Disasters and Conflicts, Environmental Governance, Toxic Chemicals and Hazardous Wastes, as well as Resource Efficiency) and the United Nations Decade of Education for Sustainable Development (2005-2014)." Since 2011, Mahesh has overseen UNEP’s engagement with the higher education sector, through the establishment of the Global Universities Partnership on Environment and Sustainability (GUPES). He served as UNEP’s focal point for the Higher Education Sustainability Initiative (HESI), which was launched on the margins of Rio+20. He also oversees UNEP’s strategic partnership with Tongji University through the joint Institute of Environment for Sustainable Development (IESD), which is located in Shanghai, and has been operational for more than 10 years. He is actively involved in several regional networks as well, such as the Mainstreaming Environment and Sustainability in African Universities (MESA), the Latin America and the Caribbean Environmental Training Network (ETN), as well as Asia and the Pacific Regional University Consortium on Environment for Sustainable Development (AP-RUC). Prior to this, Mahesh was based at UNEP's Regional Office for Asia and the Pacific, in Bangkok, Thailand. In addition to serving as Head of the regional and sub-regional cooperation component, he coordinated the nexus issue of environmental education for the region, whereby and several sub-regional environmental education and training action plans were formulated for Southeast Asia (ASEAN), South Pacific (SPREP), South Asia (SACEP), and Northeast Asia (TEEN). Influenced by artists, writers, researcher and intellectuals in the 70s gave birth to the debate on environmental issues. Reigota Marcos began his Masters in Philosophy of Education, Sao Paolo, Brazil (Paulo Freire.) These studies led him to the Catholic University of Louvain, Belgium, for a PhD in 1990, and in 1993 a PhD at the University of Geneva. Professor, researcher and activist, he worked on the creation of a philosophy of environmental education, in which concepts and notions such as ethics, fairness, responsibility and dialogue on knowledge were essential. 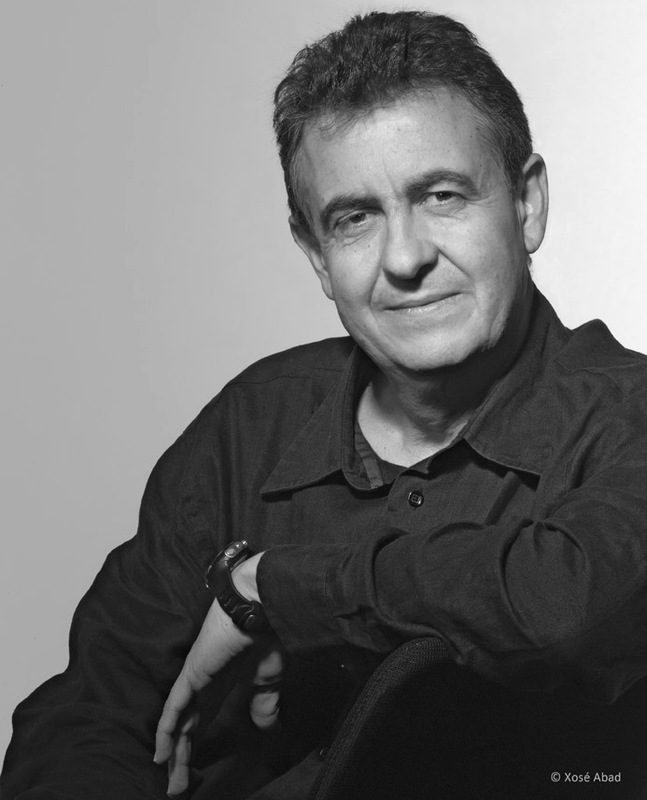 In 1998, he received the “Personality Environmental Award”, the Order of Lawyers of Brazil, Sao Carlos, Sao Paolo, in competition with renowned researchers, and the same year he became a member of the University of Sorocaba as full professor in the Master's program in education, where his research focuses on the complex and polemic approach of the ecological problems and the basics of environmental education. An architect by training, Najib Saab is publisher and Editor-in-Chief of Al-Bia Wal-Tanmia (Environment & Development), the leading pan-Arab magazine on sustainable development and Secretary General of Arab Forum for Environment & Development (AFED). He has a varied experience, ranging from designing for multi-nationals like General Motors and lecturing on corporate architecture at the American University of Beirut, to advising various governments and agencies on environment and writing on sustainable development and technology. He is a 2003 laureate of the United Nations Environment Programme's Global 500 Award for environmental achievement, and in 2011 was awarded Zayed International Prize for the Environment. Saab has ten books to his credit, including Nature Book which received in 2002 the Book of the Year Award from the Beirut Arab Book Fair. He is co-editor, with Mostafa Tolba and Mohamed El-Ashry, of the annual reports on the State of the Arab Environment published by AFED. His monthly editorial is simultaneously published by 10 leading newspapers across the Arab region, and is the only regular syndicated commentary in Arabic on environment issues. Najib Saab got his degree in Architecture from the American University of Beirut, where he also studied mass communications and political science. Lucie Sauvé Professor of the Department of Teaching at the University of Quebec in Montreal (UQAM). She is Director of the Centre for Educational Research and Training on the environment and eco-citizenship, member of the Institute of Environmental Science and Research Associate to the Dialog network on Indigenous Issues, is director of the cooperation project universities (UQAM - UNAMAZ network / University of Quebec at Montreal), "Eco-development and environmental health in the Bolivian Amazon." Her main areas of specialization are related to the current educational dimension of social movements and eco-development initiatives, education on environmental health issues and the training of teachers, especially in the context ecoleaders of international cooperation. Ecologist, author, and Indian feminist. Vandana Shiva directs the "Research Foundation for Science, Technology and Natural Resources" (Research Foundation for Science, Technology and Natural Resource Policy). 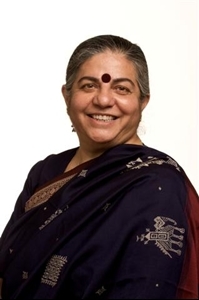 Vandana Shiva is a recipient of the Alternative Nobel Prize in 1993 "for placing women and ecology at the heart of modern development discourse," as well as the Grand Prix of the Fukuoka Asian Culture in 2012. After obtaining a degree in physics, Vandana Shiva continued these studies with a Master of Philosophy of Science, University of Guelph, crowned with a doctorate in the same discipline in 1978 awarded by the University of Western Ontario. She then shifted his research in the field of environmental policy at the Indian Institute of Science. She is one of the leading environmentalists and anti-globalization terrain globally, including the promotion of traditional and organic farming, as opposed to the policy of expanding multinational agro-food and genetic engineering. She fights against the patenting of life and biopiracy. In the 80s, she was very active in the "Narmada Bachao Andolan" (Save the Narmada Movement) which opposes the construction of huge dams on the river Narmada, dams disrupting ecosystems and causing the displacement of millions of poor peasants. Vandana Shiva founded the association "Navdanya," an association for the conservation of biodiversity and the protection of farmers' rights. 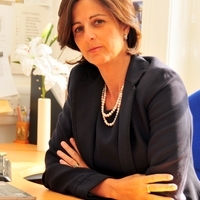 She is a member of the sponsorship committee of the Russell Tribunal on Palestine whose work began on 4 March 2009. While continuing its fight against the introduction of GMOs in the country, Vandana Shiva engages in a form of activism world peace, biodiversity and the right of peoples to self-determination. In 2001, Vandana Shiva, with fourteen winners of the Alternative Nobel Prize or Goldman, the Mexican Congress demand constitutional recognition of indigenous peoples and their rights, Mexico, emphasizing their role in the development and biodiversity conservation natural and cultural. 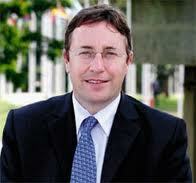 Achim Steiner (born 1961 in Brazil) is a German expert in environmental politics. He studied philosophy, political science and Economics at Oxford University and at the University of London. He also studied at the German Development Institute in Berlin and the Harvard Business School..
From 2001 to 2006 he was Director General of the International Union for Conservation of Nature and Natural Resources (IUCN). Since June 2006 he has been Executive Director of the United Nations Environment Programme (UNEP). Acting on the nomination of Secretary-General Kofi Annan, the UN General Assembly unanimously elected Steiner as the Executive Director of UNEP on 16 March 2006 for a four-year term, effective 15 June 2006. In this office he succeeded Klaus Töpfer. He became the fifth Executive Director in UNEP's history. From 1 March 2009 to 15 March 2011, Steiner was also Director-General of the UN Offices at Nairobi (UNON). At its 83rd plenary meeting, on 22 April 2010, the General Assembly, on the proposal of the Secretary-General, re-elected Steiner as Executive Director of the United Nations Environment Programme for another four-year term of office beginning on 15 June 2010 and ending on 14 June 2014. Steiner also chairs the UN's Environmental Management Group (EMG) which UNEP hosts and funds. The EMG is chaired by the UNEP Executive Director and a special focus over the past few years has been on climate change and a lower carbon footprint. In 2007, the Secretary-General and the Chief Executives Board decided to move the UN system towards climate neutrality. Lawyer and legal and institutional expert Houria Tazi Sadeq is Registration owner of the UNESCO Interdisciplinary Chair for Sustainable Water Management (Casablanca), President of the Alliance for Mashreq Maghreb Water "AEMAE", Governor in Council World Water and member groups thinking and working, has conducted studies and published various articles in the field of water and sustainable development at national and international levels. 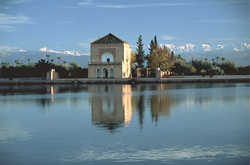 Chief Delegate of Mohammed VI Foundation for Environmental Protection. Diploma of Engineer from the school of Public works on the State Paris- France (1963). Diploma of Engineer from the school of the highways departments Paris - France (1972).Chief of the Subdivision of Habitat in Agadir (1963-1964). Chief of the Subdivision in Nador (January-August 1965). Chief of the Maritime Subdivision of the Port of Agadir and Director of the Port of Agadir (1965-1968). Chief of the district of Public Works in Fes (1971-1972). Chief of the district of Public Works in Agadir and Director of the Control lighterage of the wearing (1972-1980). Director General of the National Office of Drinking Water (1980-2001). Secretary of State in Charge of Environment (1997-1998). Wali of Fes-Boulemane Region (2001-2002). Nomination by His Majesty The King Mohammed VI as Chief Delegate of the Mohammed VI Foundation for Environmental Protection chaired by HRH Princess Lalla Hasnaa (since 2001). Decorations : Ouissam AL ARCH grade Chevalier (March,1973). Ouissam AL ARCH grade Officier (March, 1994). Officier de l’Ordre National du Mérite (French Republic, September, 1995). La Croix de Commandeur de l’Ordre du Mérite (The Federal Republic of Germany, July, 2001).Commandeur de l’Ordre de la Couronne du (Kingdom of Belgium, July, 2001). 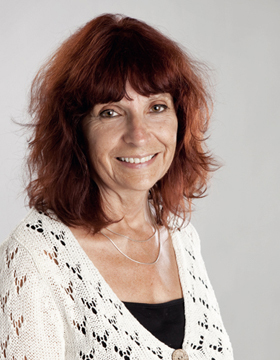 Professor Daniella Tilbury is internationally recognised for her research in the areas of sustainability leadership and organisational change as well as in education and learning for sustainability. She has been celebrated for her contribution to re-orienting higher education towards sustainability. Her PhD research undertaken at the University of Cambridge was the first to look at Education for sustainability within higher education (1993). She has been the recipient of several awards including the Macquarie Innovation Award, the 2008 and 2010 Green Gown Award for institutional change for sustainability. Daniella serves as Chair of the UNESCO's Global Monitoring and Evaluation Expert's Group which advises on the assessment of global progress during the UN Decade in Education for Sustainable Development(ESD). In this capacity, she framed the first and second UN Global Reports on ESD. She led the IUCN-UNESCO Asia Pacific ESD Indicators Project and the UNESCO research into Good Practices in Cultural Diversity and ESD. Daniella is the UK government nominated member of the UNECE Expert Group on ESD Competences. Daniella has over 100 books and refereed articles and has given keynote addresses in conferences across the globe. Most significantly, she was a keynote speaker at the UN World Conference in ESD (Bonn 2009);the World Summit on Sustainable Development (Johannesburg 2002) and Rio+20 (Brazil 2012). 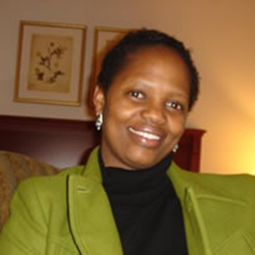 Her early work focused on monitoring and evaluation of sustainability frameworks. She has assessed strategic initiatives for government agencies; conducted participatory evaluations for EU programmes and evaluated field projects in Tanzania, Madagascar, South Africa, Venezuela, Brazil, Colombia, China, Hungary, Vietnam, Australia, Spain, Tunisia, and Italy. Daniella is currently advising the Gibraltar Government on the establishment of a University on the Rock and is a regular visitor to Morocco. She is committed to the sustainable development of Mediterranean and brokering stronger links between Universities across the Straits. Degree in Chemistry from the University of Santiago de Compostela (Spain) and PhD in Educational Psychology from the University of A Coruña (UDC). Full Professor of Environmental Education and Experimental Science Teaching at the Faculty of Educational Sciences of the University of A Coruña. Currently his research interests focus on the field of: Environmental Education and Sustainable Development, the Ecological Footprint and reduction of emissions of Greenhouse Gases, the implementation of Agenda 21 at the University and Municipalities (A21L); and in teacher training in Sciencie. Author and reviewer of books and journals publications in the educational and scientific-environmental field. Conducts several researches and participates in investigation projects of European Union FP7 Programme “Low Carbon at Work (LOCAW)”.